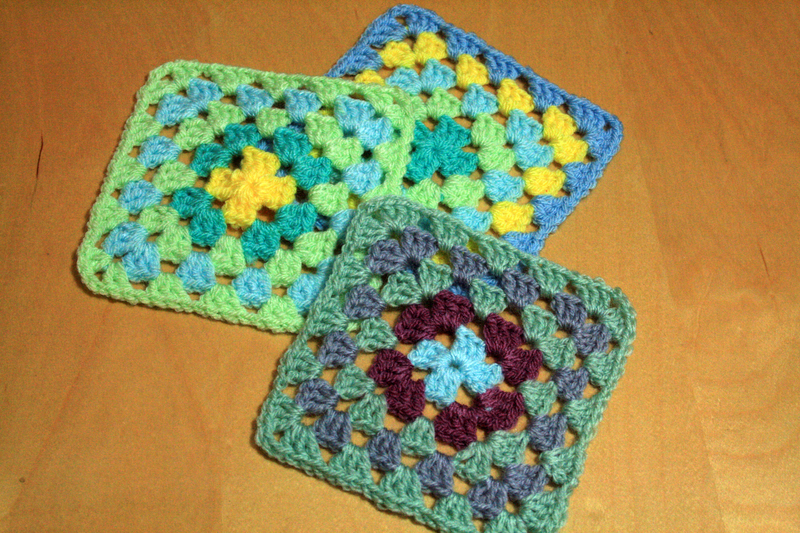 Your work with granny squares is gorgeous. The colors are so fresh. That will be a beautiful blanket. Thank you, I am looking forward to seeing the finished blanket too. The whole project is thanks to Best of Crochet who invited us all to join in. your work is excellent! beautiful colors! These are so pretty–I really like the ones in the first photo. What a generous and thoughtful project! I know, time eludes me at the moment, well crafting time that is! Sent them off yesterday so should be with you soon! Great looking squares… I’m surprised how effective the plain ones are – sometimes less is more! 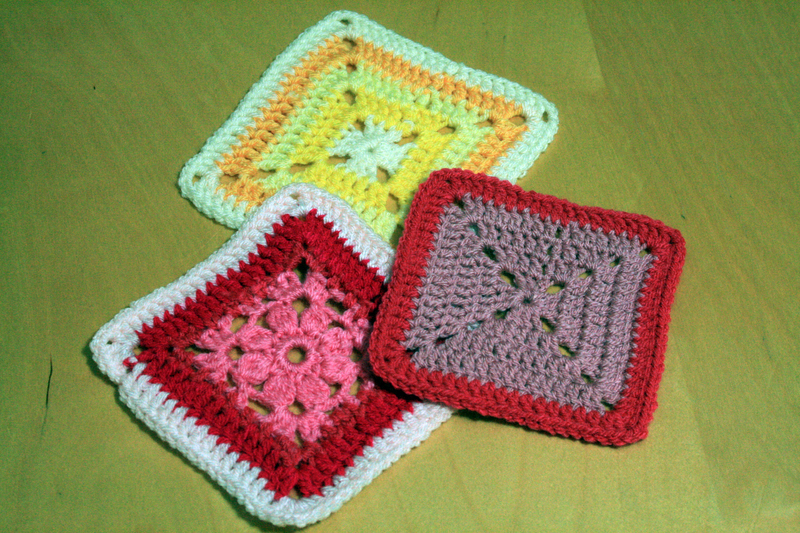 Totally agree, I just love simple granny squares, stripy or plain. What a wonderful project and I love your choice of colors! I figured with so many people contributing the more colours the better. Thanks for the reminder. I must get all the unloved spare ones out and post them off. Hope they are about the right size. That would be so great, thank you. The size requested was 13 cm square but bestow crochet said she would be happy to work in all sizes. Some really nice looking grannies there! Kudos to you for such a thoughtful project. Thank you, all the thanks for this great project go to Best of Crochet from Sweden. I am just happy to take part. 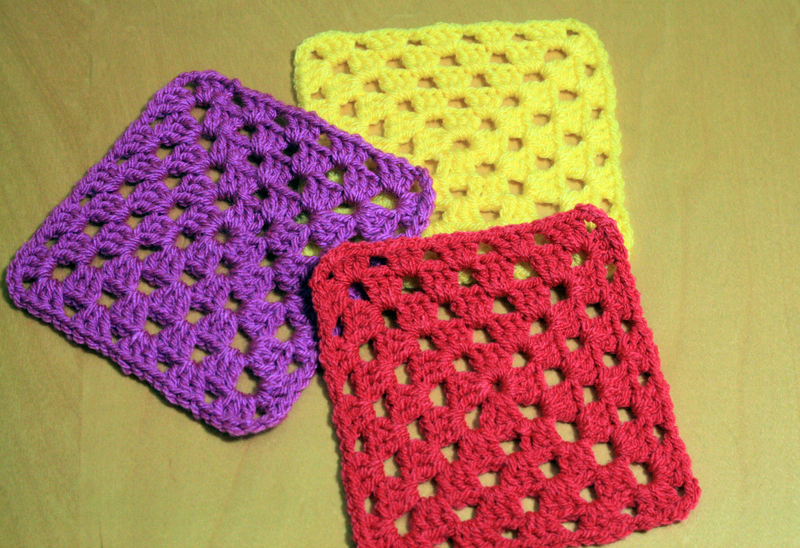 Your squares look great! I hope to get mine mailed out tomorrow. Well done in getting your squares off on time, I will be sending mine at the end of the week.